Silver Oak Cellars have both a winery in Sonoma’s Alexander Valley (next to their vineyards in Geyserville), and here in Napa Valley on the Oakville Crossroad. 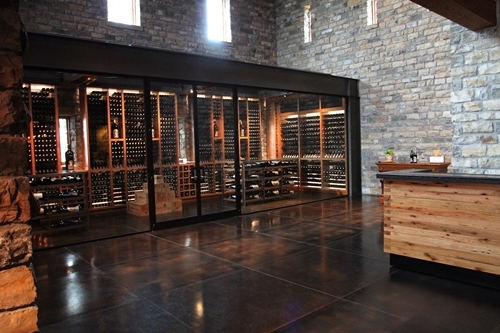 It is also here, Ray Duncan and Justin Meyer originally transformed an old dairy farm to establish their first winery. 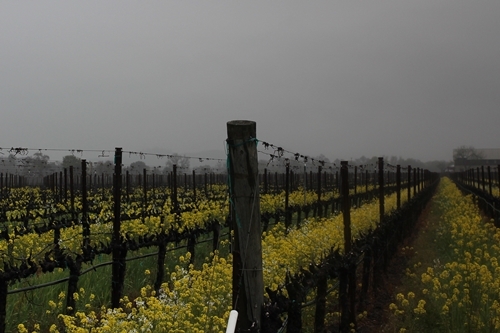 Even on a grey misty day, one is quickly captivated by the stunning vineyards that surround their winery. 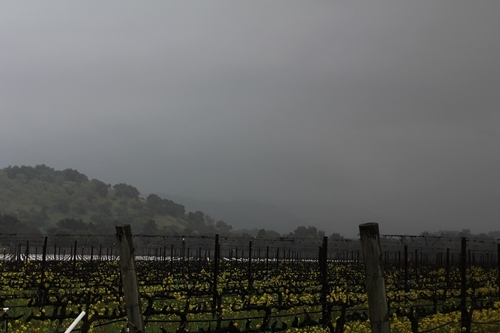 The captured vines are though not owned nor farmed by Silver Oak. They are actually part of the Crossroads Ranch Vineyards, and owned by Flora Springs Winery. The vineyards supply fruit for several of Flora Springs’ top wines, and are to some surprise not only planted to Cabernet Sauvignon, despite their pricy position on Oakville’s valley floor. Sauvignon Blanc is largely represented, and there are also small parcels of Chardonnay and even Pinot Grigio. 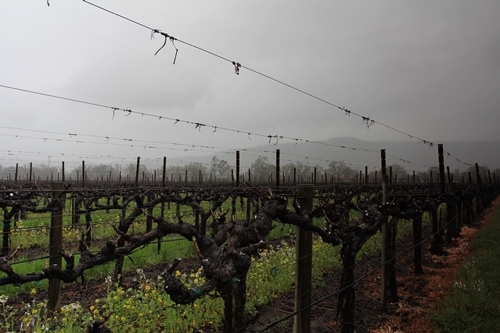 Flora Springs’ Holy Smoke vineyard neighbours the Silver Oak property to the east. 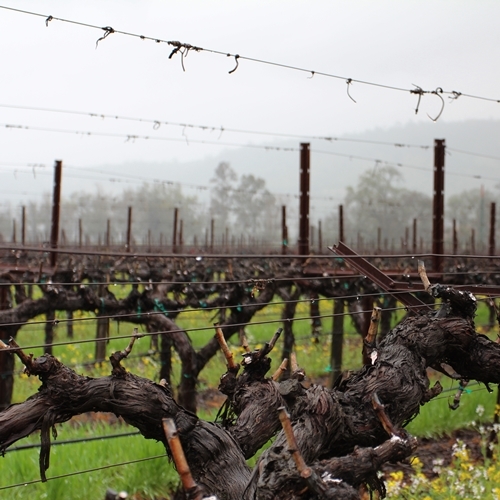 This vineyard is though completely planted to Cabernet Sauvignon, and its organic fruit goes in both the single vineyard Cabernet “Holy Smoke Cabernet” and their “Trilogy” blend. 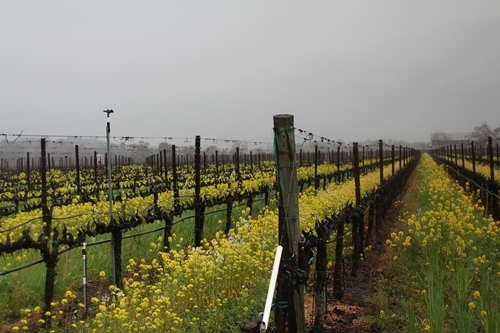 The yellow cover crops in between the vines are a common sight during Spring in Napa. The yellow mustard plant is often chosen due to its high levels of glucosinolates and its biofumigant effect, which can replace some of the chemicals commonly used when farming vines. 4. and several contracted growers around the valley. 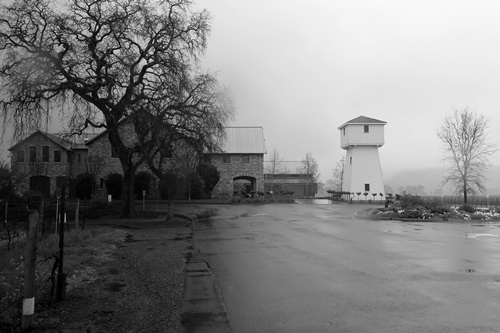 Their water tower and the old oak tree was cleverly combined in the Silver Oak label by a local artist, and make one of the strongest trademarks associated with a winery. It is moreover the only original building remaining here. 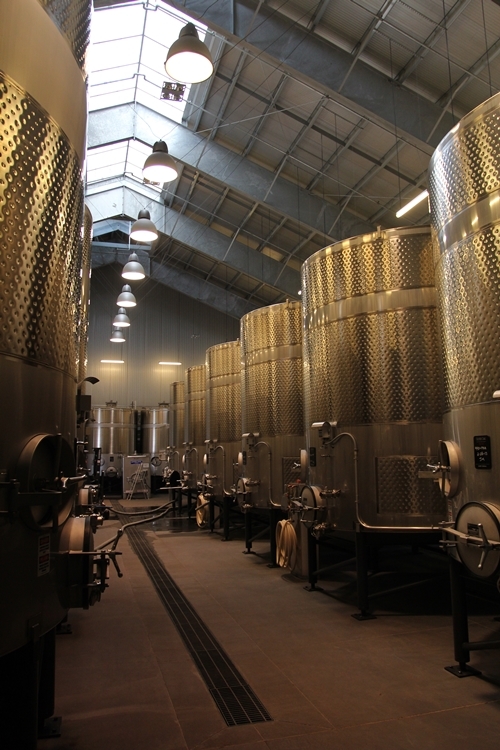 The winery was in fact completely rebuild in 2007/2008, due to two tragic events in 2006. They experienced a flood on New Year’s Day. And only a month later followed a devastating fire that burned the original winery to the grown. 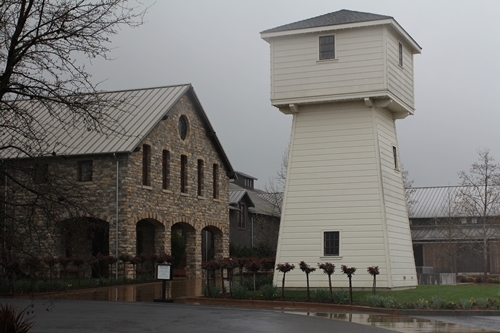 The iconic tower survived, and was moved 12 feet for the construction of their new winery. In which more than 500 tons of stone was salvaged from a 115-year-old dismantled mill in the Kansas town where the Dalton brothers were shot, to represent the fifth Dalton brother, who managed to survive and escape to California, despite having 23 bullet holes in him. The winery has moreover been secured against future floods by raising it 5 feet, and the 1,464 solar-panels keep the operation running green. 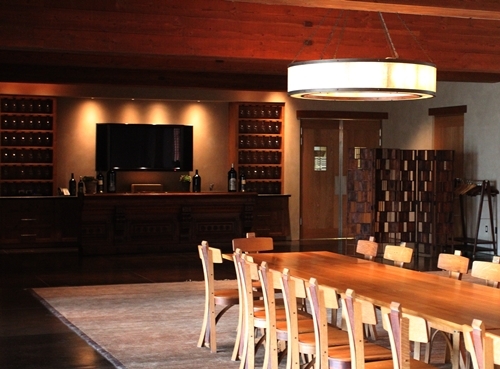 There is a church-like feel in their grand tasting room. This is partly owed to the stained glass windows, which were made by the local artist Diane Peterson, to resemble the windows she created for the original winery. They represent the four seasons in Napa Valley. 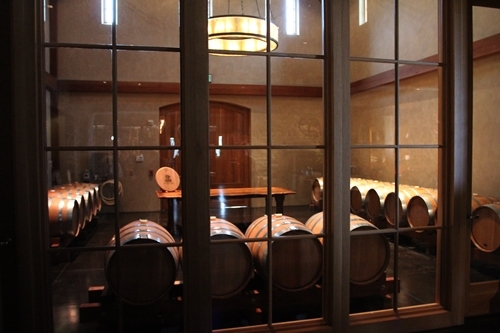 The glass-box holds their library, and displays Silver Oak releases dating back to their first vintages from the 1970s. President and CEO David Duncan (son of founder Ray Duncan) is quoted for describing it; as a real opportunity to be able to rebuild their winery from the ground up, using their 35 years of experience. Ray Duncan purchased Meyer’s shares of Silver Oak in 2001, after several large companies had made them offers. 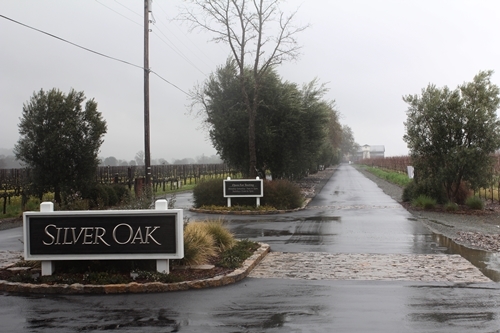 Silver Oak is now run by Ray’s sons (David and Tim) along with Daniel Baron, who was brought on by Justin Meyer in 1994 to become his successor (since 2001 as Director of Winemaking). 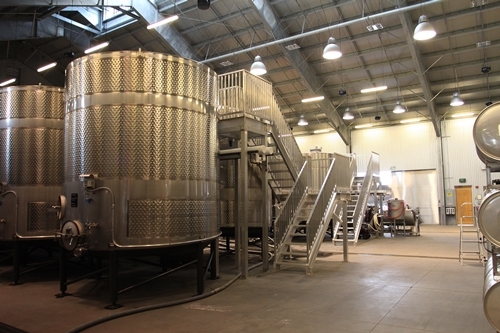 The rebuild also enabled to fit the winery with modern equipment. The relatively large steel tanks in their cuverie and how these are filled, seem though not to have been the main focus of the architects. The cuverie is on the other hand filled with natural light, and housed in very pleasing surroundings. 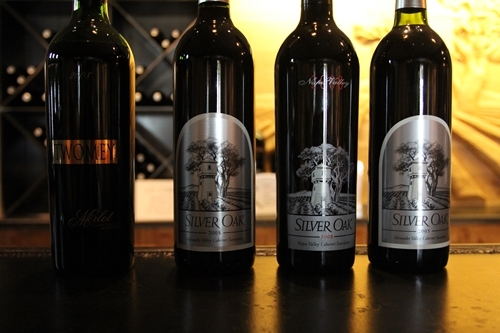 Through their expanding years in the 80s and early 90s, Silver Oak purchased several new vineyards and sites. Daniel Baron has not only been involved in developing and incorporating these sites, he has also played a role in gaining further control of their suppliers, forming partnership with the Cooperage A&K and purchasing several hundred acres of forest, to supply their wineries for years to come. 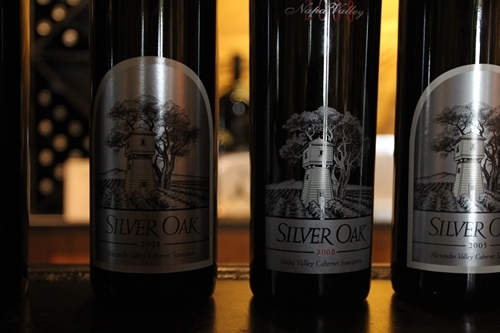 What sets the Silver Oak Cabernets apart from the rest of the Cult Cabernets in Napa, is their use of American Oak in the ageing process. It is clearly also what divides the consumers and critics. People have such a strong opinion attached to their wines that they have become “the wines that people love… and love to hate…”. All the barrels come from the same American Cooperage in Higbee, Missouri. A & K uses American White Oak with an age of 80+ years. 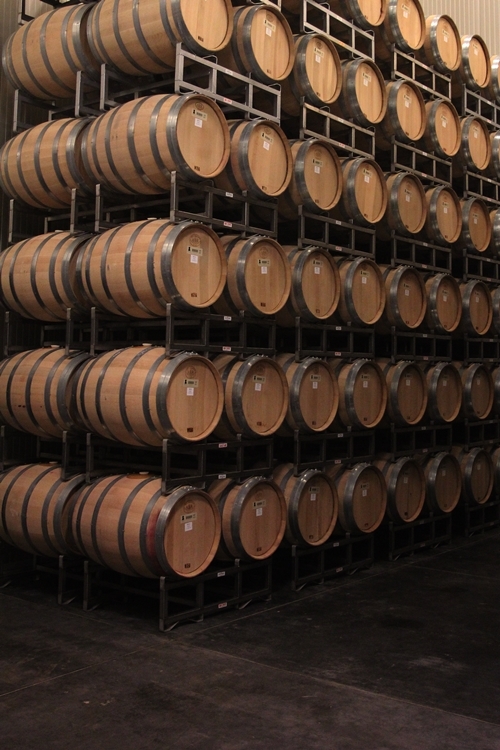 The Napa Cabernet spends 25 months in the new American oak barrels, which demand a lot from the quality of the initial fruit. It is here after bottle-aged for an additional 20 months, to make the wine enjoyable upon its release. 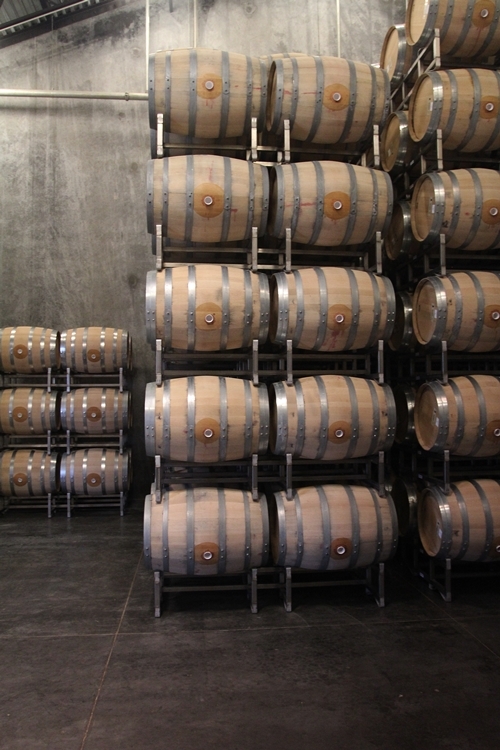 The Cabernet from Alexander Valley also spends 25 months on oak, the barrels are though a mixture of new and 2nd fills, and the wine is for the same reason only bottle-aged for 14 months before it is released. Their function room is not only utilised for events and parties, as it has also enabled serving tastings accompanied by food and hosting larger groups, simultaneously. The room has some beautiful features, and is furnished with the very charismatic chairs, which have been made of reused wood from wine barrels. The connecting terrace works well with the function room, especially for larger tastings and events. Here the Chai barrel room. The room was made in memory of Bonny’s beloved Chai, which was devastated by the fire. 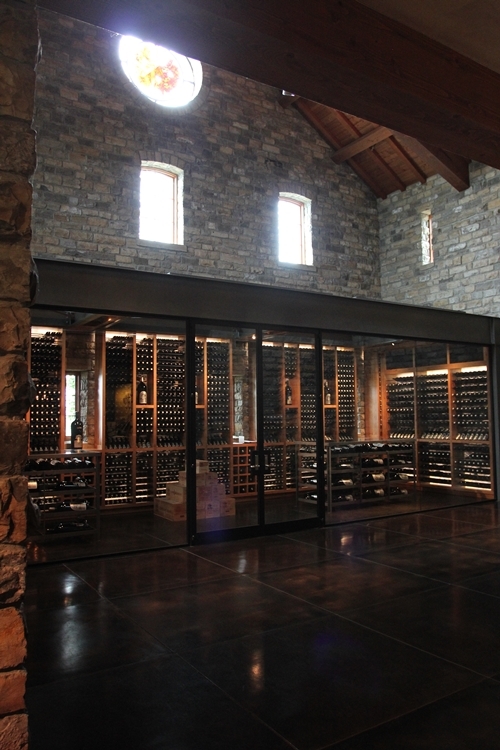 A small neighbouring gallery displays moreover the history of Silver Oak Cellars and its owners. 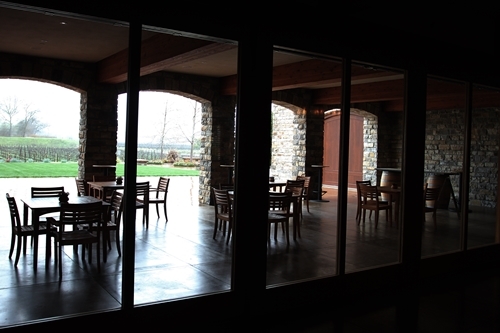 Beside the Silver Oak Cellars, they also established the Twomey Winery in 1999. 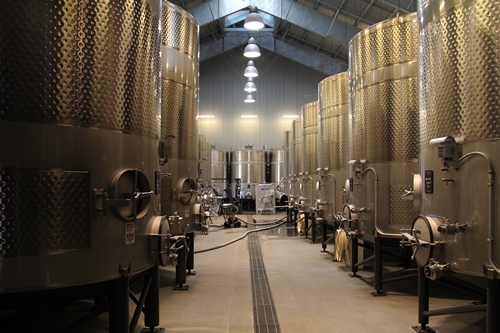 The winery is named after Ray Duncan’s mother and produce Pinot Noir, Merlot, and Sauvignon Blanc. Twomey’s Single Vineyard Merlot from their Soda Canyon Ranch is especially convincing. Made using French Oak, it goes through the rare labour-intensive technique of Soutirage Traditionnel, where you move the wine from one barrel to another using gravity. The process not only clarifies the wine, it enhances its aroma, and gives it softer tannins. I will have to admit that I am in general not a fan of American Oak. 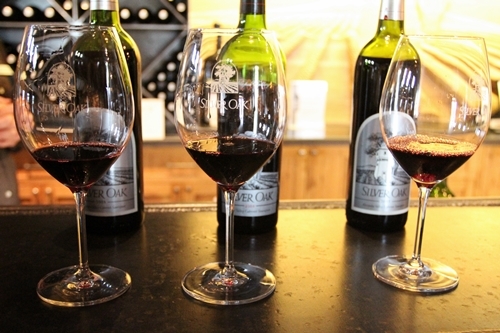 The releases from Silver Oak Cellars are BIG wines, very polished, and slightly too ripe (sweet) for my personal taste. They are though original, and one should at least once try to experience how the extraordinary fruit age. The wines demand decades to be fully appreciated from my perspective. It is a good thing that they offer vertical tastings. We tasted a couple of vintages from both Napa and the Alexander Valley. The Cabernets from Alexander Valley are definitely more food friendly. The Napa Cabs should on the other hand be appreciated for their dense texture, deep colour, and intense layered aromas of vanilla with hints of coconut.